Snaps will make it easier to install software from outside Ubuntu's repositories and give users more choice. Ubuntu 16.04 will support two different package formats for applications: Snaps and Debs. The underlying Ubuntu system will continue to use Deb packages, but Snap packages can be installed alongside Debs. Traditionally, Ubuntu has used the Deb package format. The Deb package format comes from Debian, which Ubuntu is based on. This is similar to other Linux package formats, like the RPM packages that Fedora and Red Hat use. A Deb package is an archive of files that, when installed, are generally placed in various system directories. The package has dependencies, so your Linux system may have to install other packages with specific versions of libraries to support a Deb file. Snaps are different, and more self-contained. When you install a Snap package, it will install to its own directory and won’t mess with the rest of your system. Snaps can bundle their own versions of system libraries, so they won’t depend on the installation of other packages or libraries. I wrote more about how “Snappy” packages work in the past. Snaps aren’t replacing Debs, however. Ubuntu will still continue working the same way, with the base system and software repositories being made up of Deb packages. Anyone can continue distributing Deb packages and hosting their own Deb repositories and personal package archives. Snaps will live alongside Debs, giving Ubuntu 16.04 more options. Snaps aren’t just for desktop software, however. 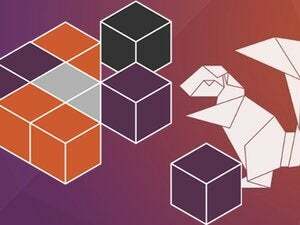 “By bringing snap packages to Ubuntu 16.04 LTS we are unifying the experience for Ubuntu developers, whether they are creating software for PC, Server, Mobile, and IoT Devices,” writes Canonical’s Olli Ries. Read the announcement for more details. Snaps should make it easier to try the latest-and-greatest software on the current version of Ubuntu. When a new version of GNOME, KDE, or another big desktop environment comes out, the community could package it as a Snap you can install. You’d then be able to install the Snap without it interfering with the existing files and packages on your system. This approach also offers security benefits, as those operating system files are protected and can’t be replaced by Snap packages. For commercial, closed-source software, this will make it easier for developers to package their applications and distribute them without worrying about package dependencies and compatibility with different versions of Ubuntu. They’ll be easy to install, and should just work without continued tweaking for new versions of Ubuntu and its libraries. This is just one of many big changes coming in Ubuntu 16.04. The OS will also dump the Ubuntu Software Center, let you move Unity’s dock to the bottom of your screen, end the practice of sending your desktop searches over the Internet, and stop supporting the old AMD Catalyst drivers for AMD graphics cards.